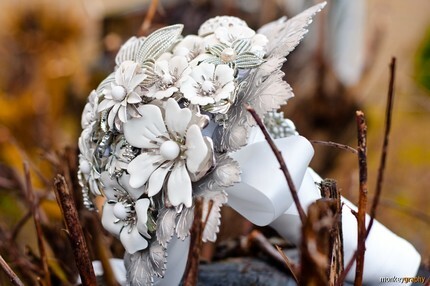 So the bouquet is set totally in white and silver, with some sparkling rhinestones. 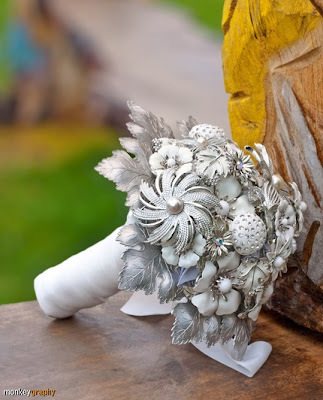 I was quite lucky to get the last 8 vintage metal ivy leaves in silver tone, which were made in Bohemia. My supplier was not quite sure if he could get more of them! 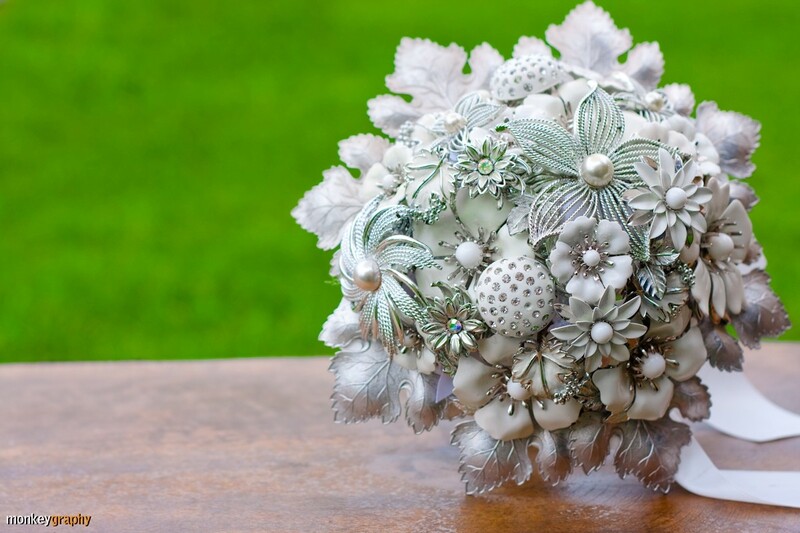 Anyway, they came beautifully together with the enamel flowers and when I added them to the base of the bouquet, they really formed a beautiful shape and texture. 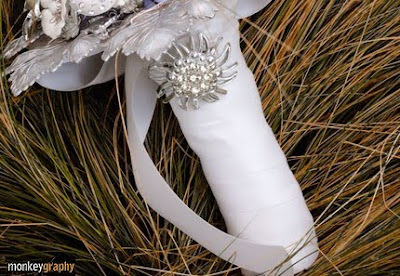 I wrapped the wire stems of the bouquets with white satin ribbon (I didn't forget to pad it lightly before for a holding comfort) and made a simple bow. I was about to wrap the stems with some white fabric with silver patterns, but then I thought the simpler the handle is, the more special the flowers will look. And when it came out, I thought I was right. However, to help it to look not too plain, I added a beautiful vintage rhinestone brooch in silver setting to the handle. It sparkles lovely. What do you think? I love this bouquet because of its shape its colours and also the name. Being able to catch the light superbly , this will sparkle a lot, but in its elegance. Easy to match and stay fresh for you for a life time - this will cherish you forever - what a lovely memory of your sweetest day. This is now available in my Etsy shop.